Former seat of power in Russia, built by (okay, not quite with his bare hands, but you know what I mean) Peter the Great in the early 18th Century. Peter had spent time in England and took a liking to porter; he ended up ordering/requesting that some be sent back home. Legend has it that the first batch spoiled on the way, so this called for more alcohol and more hops, leading to a new product category, and a new export market for English brewers. In Baltic or Nordic areas—and often in the US, where the revival of this style began—this is often just called imperial stout, but of course empire in England suggests one empire in particular, so it helps to be specific and add Russian. 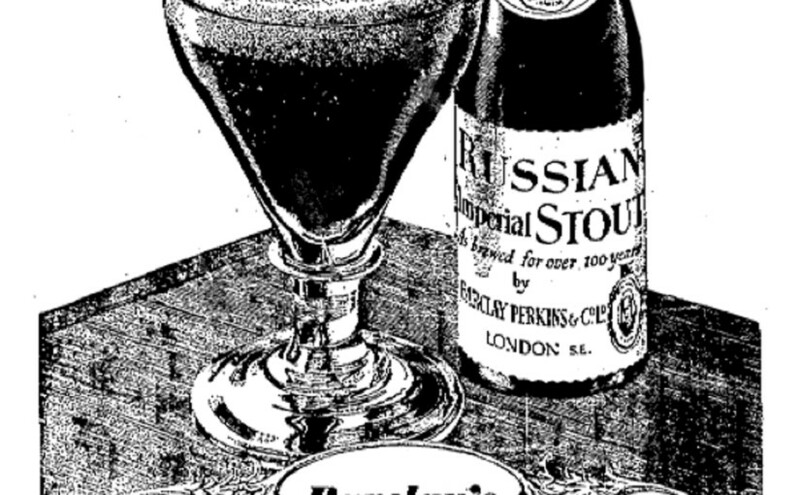 At various times since the style was introduced, however, using the word Russian to advertise your product may have been inadvisable, so the word has come and gone over time. I was, at this point, prepared to rant a little about how the word imperial once had a logic behind its use but these days is liberally applied to any beer brewed stronger than usual. It turns out, though, that I’m mistaken in this belief, and that the appellation has often been liberally applied to the strongest of a brewer’s range of offerings, at least since the mid-1800s. The terms stout and porter are pretty much interchangeable where I come from. Ask for a porter in a bar and you’ll be given a Guinness, which the world knows as a stout. Here in Finland, though, it seems that stout usually applies to lower-alcohol (4-5%) and drier beers, and porter refers to Baltic Porter, a stronger and usually sweeter drink, which–and here’s where things get confusing again–evolved in the Baltic states from the imported Imperial Stouts. At any rate, stout is shorthand for stout ale, meaning simply a strong ale, which of course makes imperial stout a very strong ale indeed, and highlights the necessity of finding new superlatives to use when the old ones lose their power and become commonplace. Which leads to names like Imperial Double Brown Stout.. I could go on and look more closely at the history of stout itself and the circumstances leading to its introduction, but this post has gone on far too long already, and I’m getting thirsty. It’s no wonder people get confused when looking at beer menus in bars. Further reading: most of what I learned about these naming conventions came from the ridiculously informative Zythophile blog.